The North German Confederation (red). The southern German states that joined in 1870 to form the German Empire are in orange. Alsace-Lorraine, the territory annexed following the Franco-Prussian War of 1870, is in tan. The red territory in the South marks the original princedom of the House of Hohenzollern, rulers of the Kingdom of Prussia. The North German Confederation (German: Norddeutscher Bund) was the German federal state which existed from July 1867 to December 1870. It was said to be lead by Prussia. Some historians also use the name for the alliance of 22 German states formed on 18 August 1866 (Augustbündnis). In 1870–1871, the south German states of Baden, Hesse-Darmstadt, Württemberg and Bavaria joined the country. On 1 January 1871, the country adopted a new constitution, which was written under the title of a new "German Confederation" but already gave it the name "German Empire" in the preamble and article 11. For the most of 1815–1848, Austria and Prussia worked together and used the German Confederation as a tool to suppress liberal and national ambitions in the German population. In 1849, the National Assembly in Frankfurt elected the Prussian king as the Emperor of a Lesser Germany (a Germany without Austria). The king refused and tried to unite Germany with the Erfurt Union of 1849–1850. When the union parliament met in early 1850 to discuss the constitution, the participating states were mainly only those in Northern and Central Germany. 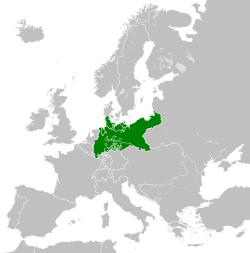 Austria and the southern German states Württemberg and Bavaria forced Prussia to give up its union plans in late 1850. In April and June 1866, Prussia proposed a Lesser Germany again. Corner stone of the proposal was the election of a German parliament based on universal male suffrage. The proposal even explicitly mentioned the Frankfurt election law of 1849. Otto von Bismarck, the minister-president of Prussia, wanted to gain sympathy within the national and liberal movement of the time. Austria and its allies refused the proposal. In summer 1866 Austria and Prussia fought with their respective allies in the Austro-Prussian War. Prussia and Austria signed a Nikolsburg preliminary (26 July) and a final peace treaty of Prague (23 August). Austria affirmed the Prussian view that the German Confederation was dissolved. Prussia was allowed to create a "closer federation" (einen engeren Bund) in Germany north of the river Main. Bismarck had already agreed on this limitation with the French emperor Napoleon III prior to the peace talks. The North German Constitution of 16 April 1867 created a national parliament with universal suffrage (for men above the age of 25), the Reichstag. Another important organ was the Bundesrat, the 'federal council' of the representatives of the allied governments. To adopt a law, a majority in the Reichstag and in the Bundesrat was necessary. This gave the allied governments, meaning the states and their princes, an important veto. Executive power was vested in a president, a hereditary office of the House of Hohenzollern, the ruling family of Prussia. He was assisted by a chancellor responsible only to him — an office that Bismarck designed with himself in mind. There was no formal cabinet; the heads of the departments were not called ministers but secretaries. Those were installed and dismissed by the chancellor. In June 1867 a conference took place between Prussia and the south German states, who were not members of the North German Confederation. After pressure from Prussia, new Customs Union (Zollverein) treaties were signed the following month. Henceforth, the governing bodies of the Customs Union were the Bundesrat and Reichstag of the North German Confederation, augmented by representatives of the south German governments in the former and members from these states elected in the same way as the others in the latter. When augmented thus for customs matters, the institutions were known as the Federal Customs Council and the Customs Parliament (Zollparlament). On 1 January 1868 the new institutions came into force. Bismarck hoped that the Zollverein might become the vehicle of German unification. But in the 1868 Zollparlament election the South Germans voted mainly for anti-Prussian parties. On the other hand, the two Mecklenburg duchies and three Hanseatic cities were initially not members of the Customs Union. 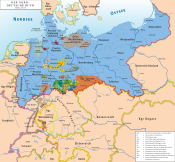 The Mecklenburgs and Lubeck joined soon after the North German Confederation was formed. 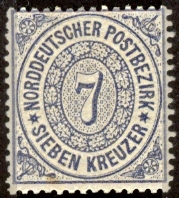 Eventually, after heavy Prussian pressure, Hamburg acceded to the Customs Union in 1888. Bremen joined at the same time. Despite this, all these states fully participated in the federal institutions, even while outside the Customs Union and not directly affected by their decisions in that regard. In mid-1870, a diplomatic crisis concerning the Spanish throne led eventually to the Franco-Prussian War. During the war, in November 1870, the North German Confederation and the south German states of Bavaria, Württemberg, and Baden (together with parts of the Hesse-Darmstadt which had not originally joined the confederation) united to form a new nation state. It was originally called Deutscher Bund (German Confederation), but on 10 December 1870 the Reichstag of the North German Confederation adopted the name Deutsches Reich (German Realm or German Empire) and granted the title of German Emperor to the King of Prussia as Bundespräsidium of the Confederation. On 1 January 1871 the new constitution gave the country the name 'German Empire' and the title of Emperor to King William. He accepted the title on 18 January 1871. This latter date was later regarded as the creation of the Empire, although it had no constitutional meaning. ^ Görtemaker, Manfred (1983). Deutschland im 19. Jahrhundert: Entwicklungslinien. Opladen. p. 244. ^ Case, Nelson (1902). European Constitutional History. Cincinnati: Jennings & Pye. pp. 139–140. OCLC 608806061.